X-Factor 2013: Week 2 and the rejects are back! Last weekend X-factor stormed back on our screens for its tenth series. Sharon Osborne is back in the judge’s chair and a new audition format includes the return of the audition room as well as an audition in front of a crowd of 4,000 in The Wembley arena. Of course this treats X-factor fans to two nights of entertainment and last week we were blown away by Sam Bailey, a prison officer with a power house voice who went on to wow the crowds and sail through to Boot Camp. Of course it wouldn’t be X-factor without a bit of controversy as seems that Sam Bailey has sung professionally in the past unlike the shy beginner image she portrayed to viewers. Only time will tell if this impacts on her future in the competition. It was edge of our seats stuff whileTamara Foster, originally part of a duo Silver Rock, who were split into two individual acts during the audition room, forgot her lines but managed to pull herself together enough to make it through. Unfortunately her previous partner, Jerrie Diller wasn’t as fortunate and didn’t make it past the audience audition. This week there was no exception to the action. White van driver Shelly Smith impressed with her power voice, singing her way straight through to Boot Camp after Sunday night and we were treated to some amazing yodelling by Barclay Beales, who went on to make it through to Boot Camp on Sunday night by yodelling a One Direction song. We were also punished by a tree surgeon who thankfully didn’t make it any further, and by Colin Staceywho sang to his cat, Patch – badly! We caught up with Luke Friend who appeared in the audition room on the first episode last week (and who hadn’t washed his hair in 9 months) but he and his dirty hair made it through to boot camp – let’s hope he has a hair wash between now and then! Euphoria, who also appeared in week 1 and received mixed comments during their audition room performance and managed to scrape through and tried to “adapt” by taking judges’ comments on board. They failed to impress with their new “edgier” performance. One of the highlights of the two nights was Abi Alton, a quirky 19 year old song writer with a unique voice. She left Louis Walsh luke warm after the audition room despite impressing the other judge’s but blew the crowd away and left Louis admitting his mistake after her impressive audition in The Wembley arena and easily took her place at Boot Camp. However, the overriding treat was the return of not one, or two but four previous contestants. 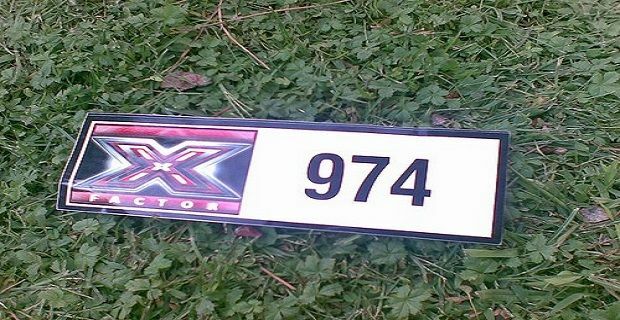 The Dolly Rockers made it to judges’ houses back in 2006, the year Leona Lewis made it all the way to take the title however after they barely made it to the arena audition they failed to impress and were sent home. Jade Richards, having also made it to judges’ houses in 2011 gave a lack lustre performance. With a fabulous singing voice she, as the judge’s pointed out, does not seem to connect with the audience. Despite this she was given a pass to Boot Camp. She needs to up her game if she is to make it to the finals. And the ‘come back’ kid of them all Melanie McCabe returned for the 4th time! Having made it to Judge’s houses in 2011 and returned last year but failed to make it out of Boot Camp she was back for a final bite of the cherry. And boy did she impress! With a magical performance of Rhianna’s Diamonds in the audition room, she went on to wow the crowd with a rendition of Titanium. With issues around a potential home repossession all is riding on the Irish singer who certainly so far appears to be a serious contender for the live shows. The final returnee Amy Mottram, who made it to Judge’s houses last year, made it through her audition room performance but did not feature on Sunday night’s show so we await the outcome of her arena audition. Also making it through to Boot camp so far are Hannah Barrett, Alejandro Fernandez-Holt, Tom Mann and Relley Clarke. We watch and wait the outcome and for more action next week with another round of auditions on ITV1 at 8pm on both Saturday and Sunday night.